These keyless chucks are produced to the highest standards which has earned them the South Bend® name. Jaws open and close with ultra smooth motion and the cut-knurling lets you get a positive grip. I have a Craftsman 1HP floor stand drill press which I've had for years but the chuck left a lot to be desired. I ordered this new keyless chuck and I could not be more pleased. Smooth as silk operation. 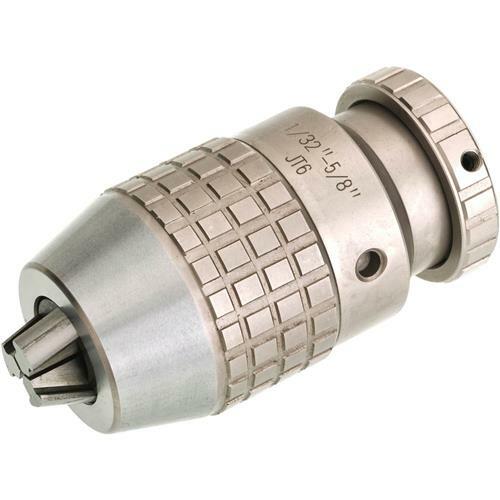 If you're in need of a new chuck, I highly recommend this one. I prefer American made products, but after I received it I found out it was made in China. Even though this is Chinese made, it is a much higher quality chuck than I expected, especially at this price.